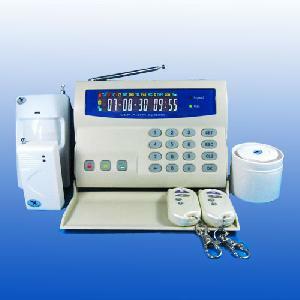 is widely used in security field. With SMS data transmission and voice platform of GSM network, it really realizes wireless alarm control and remote managements and solves the limitation of wired data transmission in telephone and wired network. Control the system by using SMS wherever you are, to arm/diarm/have newest setting message, change zone's name, inquire system status etc. Supports 10 wireless zones: 1 wireless SOS zone, 1 fire alarm zone and other 8 zones can be defined by user.